"Incised and gilded caps, from the handsome Victorian destination 'mural' at Blackfriars station, London. 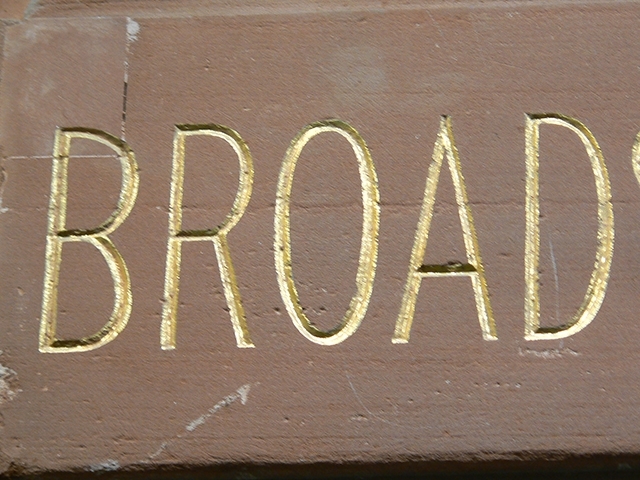 This is part of 'Broadstairs'. Photographed in 2014."